You probably know the story of the great irony of the Titanic. The ship hailed as “unsinkable” sank after it struck an iceberg on its very first trip across the Atlantic Ocean. In hindsight, it seems almost silly that anyone would assume that a ship weighing more than 50,000 tons (when fully laden) was unsinkable. And indeed, many myth busters have claimed that few people were actually calling the ship “unsinkable” before it sank. While it is hard to say whether people thought the ship was absolutelyunsinkable under any circumstances, it is clear that people believed that the passenger liner’s safety design (by Thomas Andrews) was state-of-the-art, and some did describe it as “unsinkable” before it ever set sail. Reportedly, that claim was enough to keep many passengers calm even as the ship was in fact sinking. A vice president of the company in charge of the voyage told the U.S. Congress that he initially did not believe reports that the ship was sinking because he thought it to be unsinkable. The idea that the ship was unsinkable was advanced by newspaper and magazine articles as well as by advertisement materials from the shipping company. The widely circulated articles detailed the design of the liner and its technologically advanced safety features. Chief among those features were 16 compartments within the hull whose doors could be shut by the flick of a switch. It was believed that the ability to quickly close off the compartments if any of them were breached could keep the ship afloat even if it suffered damage. 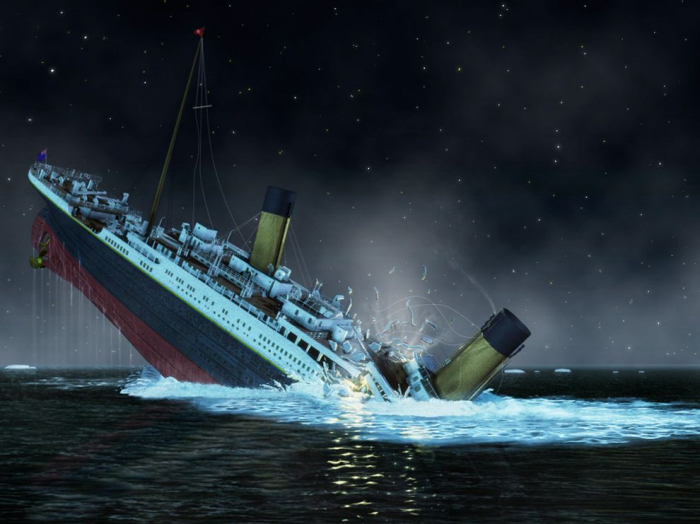 Though it’s an exaggeration to claim that nobody thought the ship unsinkable, it may be true that, before the Titanic sank, people were not particularly interested in whether the ship was unsinkable. The Titanic’s selling point was really its grandeur and luxury, not its safety. Most of the articles and advertisements for the Titanic focused on its size and accommodations, not on the details of its design, and the affluent passengers who boarded the ship chose it for its prestige and comfort. It was only after the ship’s demise that the “unsinkable” moniker really took off, presumably for dramatic effect. So even though the ship was in fact touted as “unsinkable” before it sank, it was the irony of its tragic sinking that actually brought that claim to the fore.